With the help of the video, you will be more confident to pass the exam on your first try! View over 200 hours of concise, engaging video lectures. including over 900 videos and over 8,000 updated presentation slides. Concise, high-yield lectures help you master a topic in 20 minutes on average. See pictures 2-4. You also get a reference booklet in PDF form. This is filled with charts and images. - Pass the ABIM certification examination. - Pass the ABIM maintenance of certification examination. Cardiovascular Board Review –. Echo Cases in Board Style Format: Fabry’s. Echo Cases in Board Style Format: Hypereosinophilia. Echo Cases in Board Style Format: Amyloid. Echo Cases in Board Style Format: Sarcoid. Gonstead Chiropractic DVDs 12+ hours of videos of the man himself. Set of four dvds with more than three hours each of black and white video of Dr. Gonstead himself giving seminars and lectures on chiropractic. A must have for the future Gonstead chiropractor. DVDs in sleeves. Critical Care Board Review 2018 (Passmachine ) NEW! Critical Care Board Review 2018. ACUTE KIDNEY INJURY. 09 Acute Kidney Injury. 14 CNS, Skin, Bone & Joint, & Head & Neck. 16 Cerebral Vascular Disease, Head Trauma, & Sedation. EPIDEMIOLOGY AND STATISTICS. Led by Ian F. Dunn, MD, FAANS, it sheds light on the latest trends and best practices to provide enhanced care to patients. It will help you to better Differentiate among the techniques used for spine surgery. Diagnostic Dilemmas in Urinary Bladder Pathology. Esophageal Pathology - Focus on Barrett Esophagus and Early Squamous Neoplasia. The Trouble with Fat: Diagnostic Issues with Well-Differentiated Lipomatous Tumors. Material from 2012, 2013, 2014, 2015, 2016 and 2018 (Most Recent Test). -Screenshots and Review Guides. Several doc files of review material. Acute and Chronic Liver Failure. CRITICAL CARE ULTRASOUND SCANNING. Acute Kidney Injury and Acid-Base Disorders. Perioperative Critical Care. Care of the Immunocompromised Host. Care of the Critically Ill Patient With Obstructive Lung Disease. Osteomyelitis and Septic Arthritis. Apply appropriate diagnostic procedures for common and uncommon infectious diseases. Specific Infectious Diseases. Infections in Solid Organ Transplant Recipients. Rapid-Fire Hematology Cases for the Hospitalist - Aric D. Parnes, MD. High-Yield Rheumatology for the Hospitalist - Derrick J. Todd, MD, PhD. Geriatrics for Hospitalists - Houman Javedan, MD. GI Bleed: What a Hospitalist Needs to Know - Tyler M. Berzin, MD, MS. Ideal for MOC. Imaging of Arthritis – Part II: Advanced Imaging in Rheumatology. Pediatric Rheumatology. Scleroderma: Clinical Features and Therapeutics. Imaging of Arthritis – Part I: Radiographic Evaluation of Arthritis -. 1 Acute Pancreatitis.mp4. 13 Acute Decompensated Heart Failure.mp4. 14 Acute Kidney Injury.mp4. 4 Acute Ischemic Stroke.mp4. 12 Community Aquired Pneumonia.mp4. 7 Practice Changing Studies in Critical Care - II.mp4. Cardiology Board Review 2018 ( New ! ). - Perform differential diagnosis of complex clinical presentations related to cardiology disorders. - Pass the ABIM certification/recertification Cardiology examinations. Nephrology and Urology. Allergy and Immunology. Covers every topic appearing on your pediatrics board exam. Ophthalmology and ENT. Preventive Pediatrics. Perform differential diagnosis of complex clinical presentations related to cardiology disorders. - Pass the ABIM certification/recertification Cardiology examinations. Nuclear Cardiology and PET Imaging. This series of DIT lecture review is designed to prepare you with high-yield Step 1 information of the course. This is a complete set of review program. 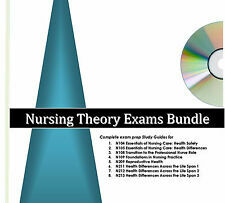 it is very helpful and including all what you need to know for the exam! ANATOMICAL CROSS-SECTION Cardboard Cutout Standup / Standee. Cardboard Cutout Standup / Standee. ANATOMICAL CROSS-SECTION. This cross-section of the human anatomy shows the muscular system, internal organs, and the circulatory system. Quality is perfect! With the help of the video, you will be more confident to pass the exam on your first try! It will help you to better GI Bleed –. Critical Care Pharmacology –. Acute Liver Failure –. The Critical Care. Perform differential diagnosis of complex clinical presentations related to critical care disorders. The course is led by a distinguished faculty from all the sub-specialty areas who are experts in education and board exam preparation. The Brigham and Dana-Farber Board Review in Hematology and Oncology 2018. Ideal for MOC. Biology of Hematopoietic Stem Cell Transplantation. Natural History, Screening, Surgery, Small Cell Lung Cancer. Nephrology Board Review. Hematology Cases: Common, Complex, Rare. Board Review in Hematology. Rheumatology Board Review. Oncology: Clinical Pearls. Board Review in Oncology. 2018 Cardiology Overview. Board Review in Cardiology. Module 2 — Ultrasound. Contrast Enhanced Ultrasound. Small Parts Ultrasound. Obstetric Ultrasound. Rapid Fire Cases -Ultrasound. Module 6 — Vascular and/or Interventional Radiology. Scrotal Ultrasound. General CardioVascular Board Review 2018 (New!). Cardiovascular Board Review –. General Cardiology Board Review Course is designed for fellows and physicians who are within two years of their next General Cardiology board or recertification exam. Higher Centre and Pain: From Basic Science to Clinical Perspective -. Anatomic Imaging for Pain Evaluation -. Cannabinoids for Chronic Pain -. Autoimmune Disorders and Pain -. Should Opioids Be Used for Chronic Pain?. Iron Deficiency and Iron Overload. Biology of Hematopoietic Stem Cell Transplantation. Sickle Cell Disease. Low Grade Lymphomas. High Grade Lymphomas. Infections in Cancer Patients. Communication: The Key to Excellence in End-of-Life Care. 3D Echocardiography -. Diverse Dilemmas in Echocardiography -. Pediatric Interventional Echocardiography. IAC Echocardiography - An Interactive Accreditation Boot Camp. The Enhancing Agent Clinical Utility in 2018. Cardiovascular Manifestations of Systemic Diseases. Primary and Secondary Prevention of Cardiovascular Disease. Cases in Cardiovascular Disease and Prevention. ECG Stress Testing: The Basics. Review of ABIM Blueprint and Exam Format.